When you’re in high school, university can a bit of a mystery – and for some it can even be a path never considered. For young people who may be the first in their family to contemplate attending, university is especially daunting – but it doesn’t have to be that way. 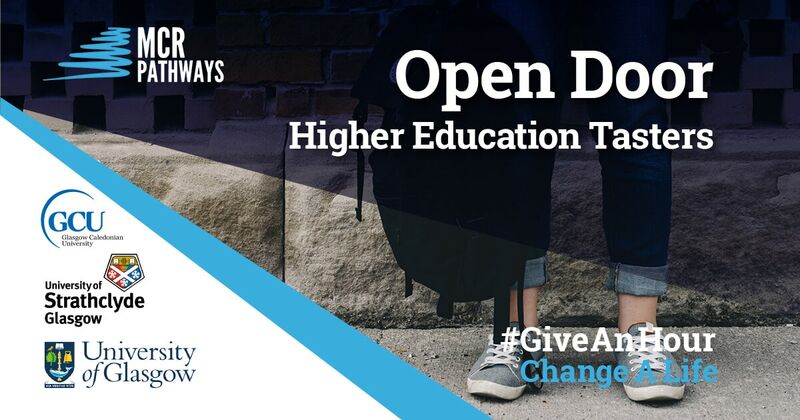 Glasgow’s Universities are opening the doors of Higher Education, creating initiatives that make them more accessible for young people, regardless of their background. At MCR, we work in partnerships with all six of Glasgow’s HE institutions to make sure our young people realise their potential and are supported onto the available widening access programmes. From offering Talent Tasters, to training and supporting mentors, our HE institutions are working to support Glasgow’s most disadvantaged young people. MCR Talent Tasters are half-day sessions in workplaces, cultural institutions, colleges and universities for young people aged 14-16. The Tasters are designed to motivate, build aspirations, and help young people make positive choices about their future. Higher Education Tasters have been hugely popular. Each year, more and more pupils from S1-S4 have taken part in the programmes, allowing them to explore the different faculties and department to better understand the options available. The number of mentored young people attending Talent Tasters has grown each year and in 2017 86% of our young people attended one, up 34% over three years. Just last week, the University of Strathclyde hosted our young people from secondaries across Glasgow for a half day Taster. They started with ice-breaker games – competing to build the largest balloon structure – and getting to know each other. Following this, the young people toured the campus and had the opportunity to ask their student mentors questions about university life. “When the young people arrived in the morning they were quiet and nervous. By the end of the day they were chatting with Strathclyde’s mentors and asking questions about uni. Not only had they made new friends from across the city, they seemed so much more confident.” Aimie Bowman, Pathways Coordinator. 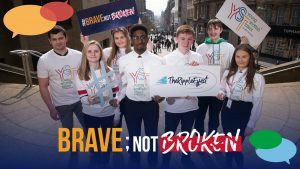 The goal was to introduce pupils to university and invite them to come back in June enroll in the Strathclyde Summer Experience, hosted by the school’s Widening Access Team. This intro session allows our young people to make an informed decision about putting themselves forward for the programme. The Strathclyde Summer Experience takes place over two day and helps explode myths about who can attend university. The programme is a day and evening full of activities both on and off campus. Working with student mentors, pupils undertake a series of engaging group challenges that teaches them about university life and address any fears and concerns they might have about Higher Education. They also take part in Taster sessions for specific university subjects. Earlier this spring, Glasgow Caledonian University hosted a Taster for our S2 pupils who became detectives to solve a campus wide whodunit mystery. They worked with staff and students from Journalism, Fire Risk Engineering, Law, Ethical Hacking, Psychology to gather clues and solve the ‘crime’. In autumn, the University of Glasgow hosts Talent Tasters to MCR’s S1 pupils to inspire them to think of Higher Education as part of their future. We also work closely with the Glasgow School of Art and the Royal Conservatoire of Scotland to develop targeted arts workshops for our young people. The University of the West of Scotland works in partnership with MCR Pathways, Glasgow City Council and partner HEIs in the West of Scotland to deliver initiatives which improve outcomes for care-experienced young people and Care Leavers. “I’m thinking about Glasgow or Strathclyde. This is the first time I’ve ever been to university, it’s a lot of fun.” Young Person from Knightswood Secondary. Making HE a welcoming space for students from all backgrounds is a major initiative for the Glasgow Higher Education Institutions to reach a diverse student body. Each institution has widening access/participation initiatives determined to remove the barriers that keep under-represented groups of students from attending Higher Education. “I’ve been doing these sessions for a couple of years and I always really enjoy showing young people what university is like in a fun, casual way.” Angie, Strathclyde Widening Access Mentor. Young people are diverse – what motivates one young person may have little influence on another. By offering young people a whole menu of options – mentoring, Talent Tasters, university visits – we’re giving them more opportunities to find what that captures their imagination. We are committed to helping young people reach their full potential and preparing them for bright futures. Through partnering with local universities and other organisations we’re able to open the door for young people to a whole world of opportunities. 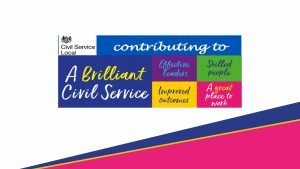 Organisations large and small, public and private, have hosted our young people for Talent Tasters to introduce them to the world of work, culture, sport, and Further and Higher Education. In addition to having a positive impact on our community, Talent Tasters also give your staff the opportunity to engage with young people, learning new skills. Can your organisation host our young people for a Talent Taster? We’d love for you to get involved.